Rattle Snake Ramble September 9th! 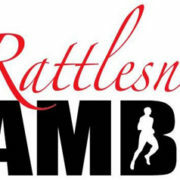 The Rattle Snake Ramble Trail Race is September 9th. This annual race raises money for ACE and Rocky Mountain Rescue Group. Visit their website to sign up. http://aceeldo.org/wp-content/uploads/2017/08/rattlesnakeramble.jpg 238 500 Matt Reeser http://aceeldo.org/wp-content/uploads/2016/05/ACE_logo_564x396.png Matt Reeser2017-08-31 15:20:062018-03-01 12:20:26Rattle Snake Ramble September 9th!